, Web Standards, PHP, ASP and ColdFusion. ...And that's just a small sample! Dreamweaver's flexibility and maturity makes it an excellent web design program. Besides, if you want to do professional web design, Dreamweaver is something you may well have to learn since so many companies use it. Learn how to create fixed pixel and liquid CSS based layouts as well as styling lists and navigation for your website. Learn the steps needed to build a website with Wordpress using Adobe Dreamweaver CS5. By the end of the course, you will feel comfortable using Dreamweaver CS3 and CS4 to build modern websites. 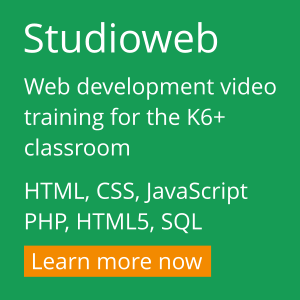 Learn the basics of Dreamweaver 7 and 8 (CS3) and Start building websites right away! In addition to my Dreamweaver CS3 and Dreamweaver MX video courses, I have recorded several videos covering the latest version of Dreamweaver, Dreamweaver CS4. Over the years I've written a few articles on Dreamweaver that have become pretty popular on the Web. So I figured it made sense to include links to them here. I hope you find them useful. Need a hand? Visit our Dreamweaver forum and get your questions answered. 350 video lessons, 900 quiz questions, 40 projects.